Imagine, dining alfresco in Bangkok, directly under the moon and stars, with a glass of good wine in hand, delectable meal and surrounded with a pleasantly classy crowd, doesn't sound bad at all, ey? But does this kind of place exist in the crowded megapolitan? Actually it does! If Siam and Sukhumvit in Bangkok are like Legian and Kuta in Bali (crowded, sleazy and overly commercialized); then Ari is like Bali's Seminyak, which is notably classier, less noisy and to a certain extent, fancier. 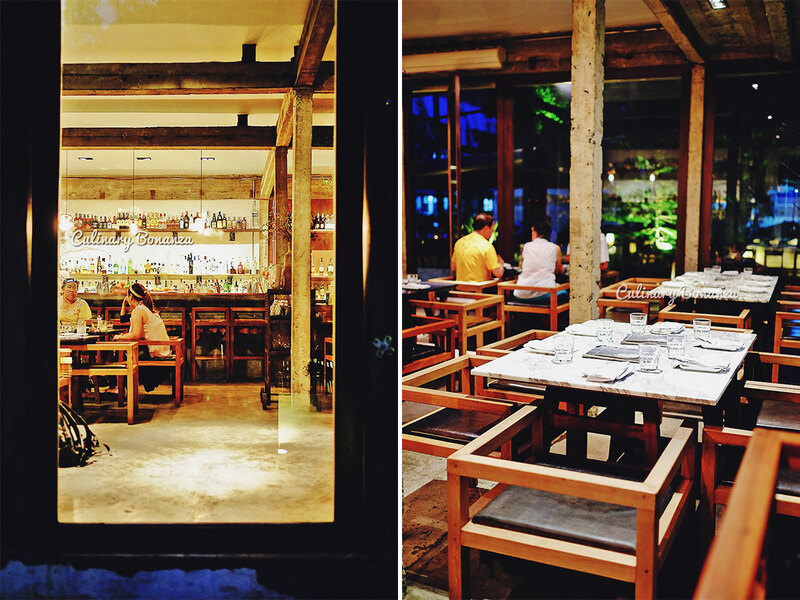 In this post, I'm going to wow you with this ultra lovely and charming space named SALT located in one of the up and coming neighbourhood of Bangkok, Ari. 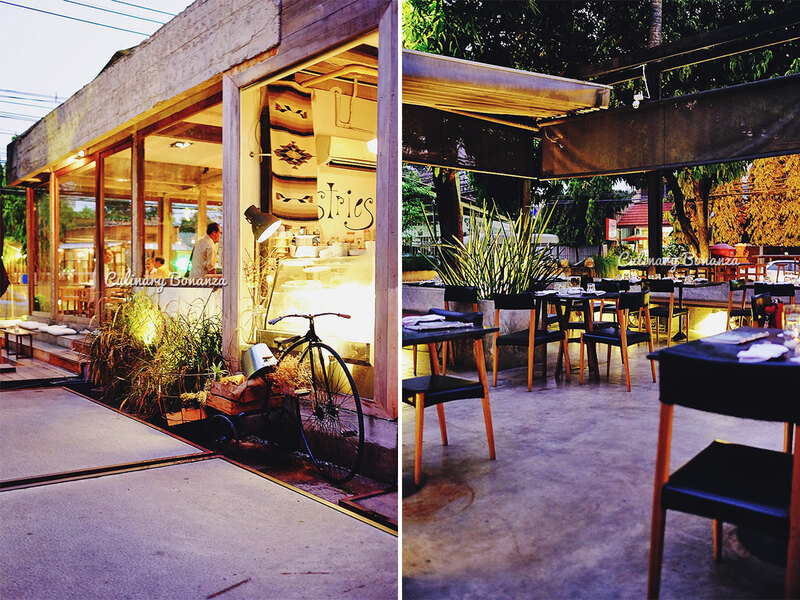 The first thing that wowed me was the design of the entire place, which is divided into indoor and outdoor areas. At one end of the outdoor area, is an open-air pizza kitchen, where the cooks prepare the wood-fired pizzas that would be served to the customers. So it's not only open, it's a truly open-air kitchen! 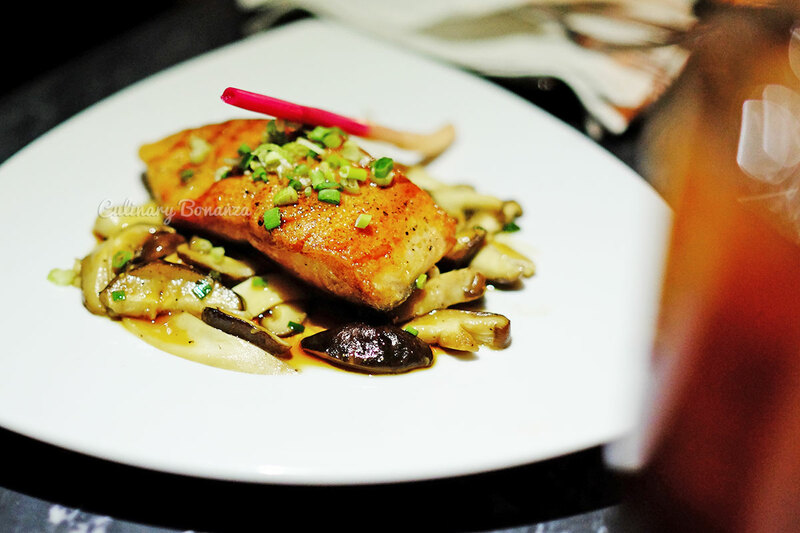 Citing its website, Salt claims to be a wine and cocktail bar, as well a restaurant that offers both Japanese and Western fares such as sushi, sashimi, wood-fired pizza and French dishes. While browsing at the menu book, I couldn't help but to notice just how much Bangkok love Japanese food. If you think SALT is a western fine dining restaurant, wait until you see the menu. When you have 3 hungry girls, the only sane thing to do, is feed them properly and quickly. We didn't 'flirt' with the any of the appetizers nor sushis or sashimis and headed to order Main Course rightaway. 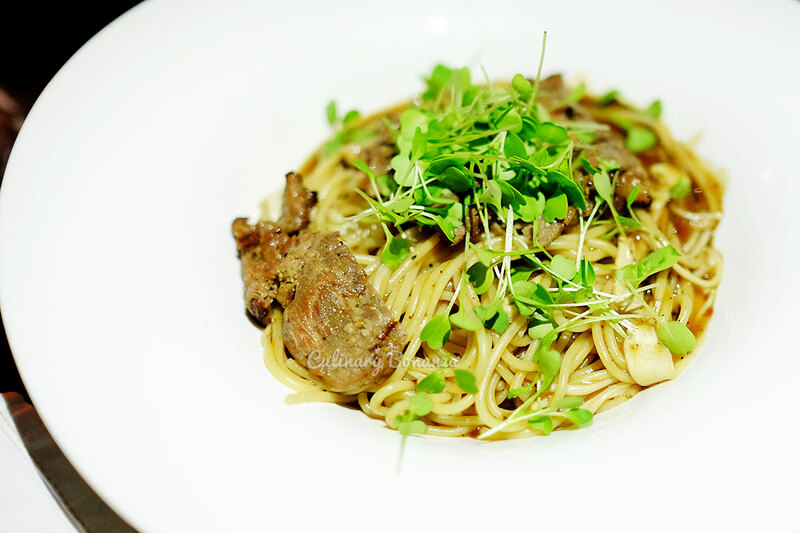 I was torn between the Angel Hair Cayenne with Scallop or the Wagyu Ragu Linguini & Black Mushroom, but I finally decided to choose the latter. For once in my life, it was a well made decision, because my choice turned out to be one fine dish! 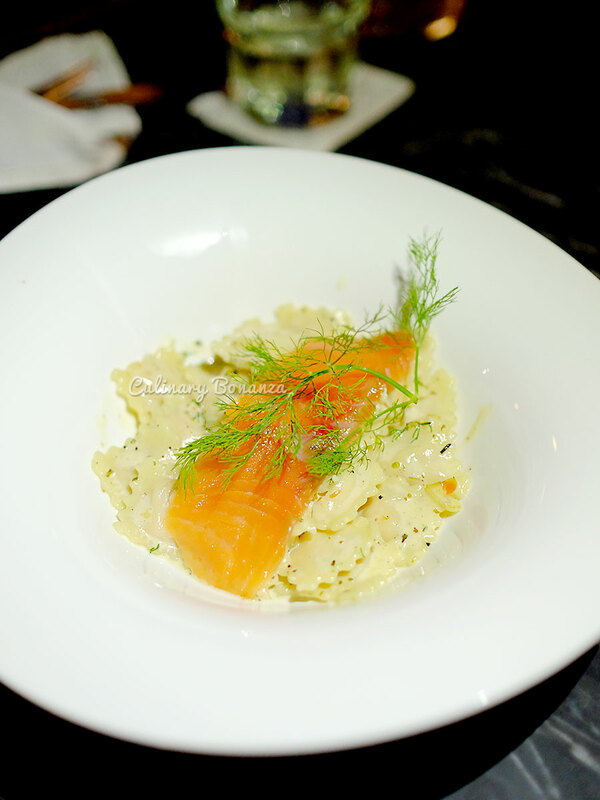 And then I tried my friends' Salmon Cream Sauce Ravioli as well as Salmon Teriyaki, and they were all, pleasantly tasty and served in just the right portion. 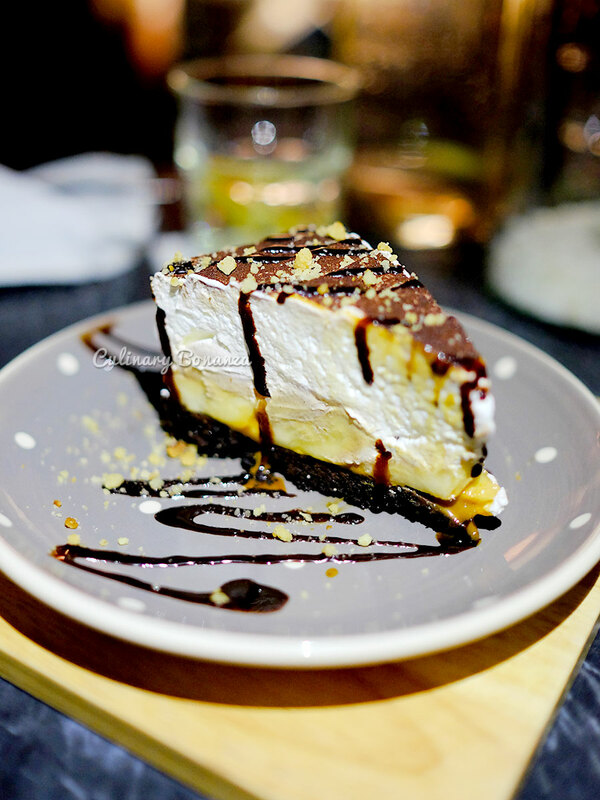 Oh, we loved our Banoffee Oreo Pie dessert, wouldn't mind a second helping actually, but we wanted to save some space for the next destination, so we settled with just licking clean our single slice of pie. It's absolutely worth the calories!